and start your risk free trial now! 3 Day Trial + Just $39.00/month if you love it and keep it! Cancel any time! 3 Day Trial + Just $49.00/month if you love it and keep it! Cancel any time! Best fit: if you are just starting out with e-commerce, and have no idea on what product to sell, how to get started or you need clear step by step instructions. Best fit: For well established companies and corporations that want to have unlimited access to all our tools and materials. Try if FREE for 3 days! We will NOT BILL you today! If you love it and see that it's going to make you money (for 89% of the trial testers it does this for them in the first month of opening their first e-commerce store) then stay with an easy 39.00 USD a month membership. You can cancel any time before 72 hours and leave without paying a dime. We are so confident in the sheer value of our offer that we’ll give you our stuff first and let you see the money making potential before asking for a tiny share later! HURRY UP! 17 SPOTS LEFT CLAIM YOURS! Your Shop Started From Scratch With No Programming Skills. Start Receiving Sales And Profits In 30 days or Less! Pet Store "Best Friend" by Claudia J. Together with my helpful team of “Sells Like Hot Cakes” we took our small pet store from zero to $47,812 Per Month with no capital or investments using a simple Shopify Dropshipping system and recorded the videos of our progress along the way so you can copy&paste my results and apply them to your own store. You will look over my shoulder to see exactly what I do and how I do it. You will see everything, what works for me, what does not work for me, what apps I use and how I boost my sales and get the whole process fully automated without any programming skills! So you can copy it and succeed too! This made an amazing case study and you will benefit a lot by following my progress on the amazing road to your own success in 250 Billion dollar (and growing!) ecommerce business! 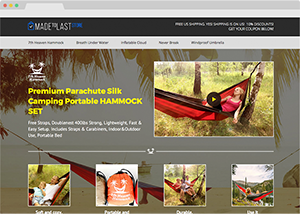 "Made To Last" Store by Mike S.
Grew To $44,121 Per Month Using "Sells Like Hot Cakes"
I joined SellsLikeHotcakes and gave my store for a case study to show how everyone can grow their Amazon business from zero to thousands per month! We'll go together through everything. From basic to advanced stuff... The hints, tricks and systems that we share are not just some sort of theories but real working systems that we use ourselves in our own online stores! We will teach you things like how to find product that sells and avoid 11 mistakes that people do when they are starting out. We will show you essential tools to research a product, legally spy on your competitors, to find out what works and avoid wasting time of what does not work, how to create your listings and marketing, how to research great keywords and get high ranks on Amazon. how to stage your launch and get sales and reviews without being banned or getting hajacked! We will show you how to avoid the common pitfalls and achieve success the fastest way possible! Join us for amazing ride to profits! "Trendy T-Shirts" Store by Dave P.
by "Sells Like Hot Cakes"
Hi friends! Absolutely impressed with "Sells like Hotcakes" course and tools. Guys have put a lot of effort into this - so much stuff there it's might be overwhelming first but once you get ahold of it, you will really love it. And most important don't just watch and follow, TAKE ACTION! I struggled for months to get my tshirts shopify store going and I never expected much sales.. but after I applied all the tricks and tips from the course, my shopify store finally took off and went on fire! "iPhone and Android Waterproof Cases" Shop by Peter M.
Went from 0 to $54,911 Per Month Using "Sells Like Hot Cakes"
From Zero to Hero.. "Sells like Hotcakes" is one stop for all your ecommerce needs... taking you from 0 to HERO in just a matter of days! If you know nothing about Amazon & Shopify or you already have your own store and look to quickly boost your sales, you will find something helpful, I am sure! 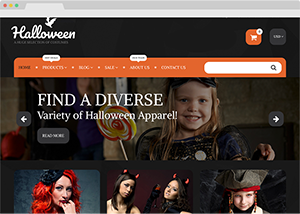 Children cosplay and Halloween costumes store by George S.
"Sells like Hotcakes" is not just a course. It’s a community of like minded people who build tools and actually use them to grow their own business and help each other along the way! They teach what they do, that’s why it WORKS! Success attracts success. It worked for me, I am sure it will work for you too! Do you want your products to be Selling Like Hot Cakes, but you don't have a product yet? And you don't know how to start? Do you want to start your own profitable ecommerce business with No Capital and No Investments? Without programming or selling skills? are just right for you! And those made by Rockstar million-dollar sellers who jumped into this niche years ago, in front of the train, and made gazillions of dollars by building a community of hundreds of thousands of followers. To be honest, it's hard to relate to that if you are just starting out. ‘Good for them’ you think. ‘With millions of followers and seminars and a billion YouTube subscribers, of course they would do well. But what about me? What if I am just starting out? Well, there is a solution; listen closely because I am going to show it to you! You see, guys…"Sells Like Hot cakes" was made by a small group of friends who actually sell and use all the techniques and tools we teach in the course. All our information is current and up to date. We might not be making millions and we don’t have billions of subscribers and followers... yet. But we do know this stuff well and we do well selling on Amazon and Shopify. We are also really excited about sharing it with you! In fact, we developed our tools for ourselves and did not plan to share them. However, after several friends who looked at our success decided to get started too, we shared our tools with them. This is how our small community quickly grew. We started accepting new private members and beta testers for our new tools, which we keep developing every month! During this course, you will look over my shoulder and learn real-life examples of what works and what doesn’t. You will see the shops I run, how well they are doing, what profits they are generating, what tools I am using to create them, and how I drive traffic and sales. I am not going to hide anything from you like most other Amazon sellers do. I am not worried that you will copy me or clone my product. In fact, go ahead and do it. No matter what you sell, there is always a fair competition, so worrying about it or hiding your products or shops from your followers is pointless and misleading in my opinion! I will teach you everything from scratch. Whether you have no prior experience or are already selling well, you will find something new for yourself! We'll go through everything together, from basic to advanced stuff. The hints, tricks and systems we share are not just theories but real, working systems that we use ourselves in our own online stores! I will share the links, contacts and important services I use, as well as tools and resources you might need along the way. I will teach you how to find product that sells and how to avoid 11 mistakes that people make when they are starting out. I will show you essential tools to research a product, to legally spy on your competitors, to find out what works and to avoid wasting your time on what doesn’t. I will teach you how to develop your brand and source your product, how to do due diligence and avoid getting scammed, how to analyze samples and place an order, how to ship your products safely and cost-effectively. I will show you how to create your listings and marketing, how to research great keywords and get high ranks on Amazon, and how to stage your launch and get sales and reviews without being banned or getting hijacked! I will show you how to avoid the common pitfalls and to achieve success the fastest way possible! and profits might you expect? 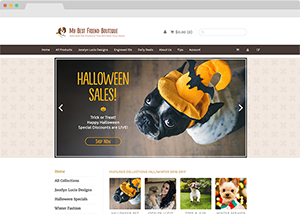 A pet store called "Best Friend" by Claudia went From $0 to $47,812 Per Month With No Capital Or Investments Using A Simple Shopify Dropshipping System that you will learn too! Not bad, huh? Mike's "Made To Last" Store Grew Quickly To $44,121 Per Month Using the "Sells Like Hot Cakes" Amazon White Labelling System and tools from our members area! These are the same tools and system to which you will get access; just copy and paste his success! 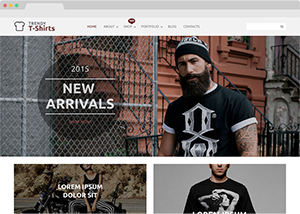 The "Trendy T-Shirts" store by Dave went from $0 to $32,711 Per Month Using a Shopify System that we teach in the course. Not bad? Well, four months ago, Dave could not even afford to buy a new phone. Things change quickly when you achieve success. The "iPhone and Android Cases" shop by Peter went from $0 to $54,911 Per Month using our new Amazon White Labelling System, which you will discover too! I met Peter last month and he is a completely changed man! The "Children Cosplay and Halloween Costumes Store" by George went from zero to 54,851 euro in profit by using the “Sells Like Hot Cakes” Amazon FBA system! Three months ago, George was unemployed with three kids and a wife supporting the whole family on an office clerk job! Disclaimer: Any income or earnings statements are estimates of income potential only, and there is no assurance that your earnings will match the figures presented, which are given as examples. The results experienced are not typical consumer results and your results may vary depending how much effort you put in creating your own ecommerce business. All of them simply followed our step-by-step instructions, used the tools we provided and achieved amazing success. I am sure you can do it, too! 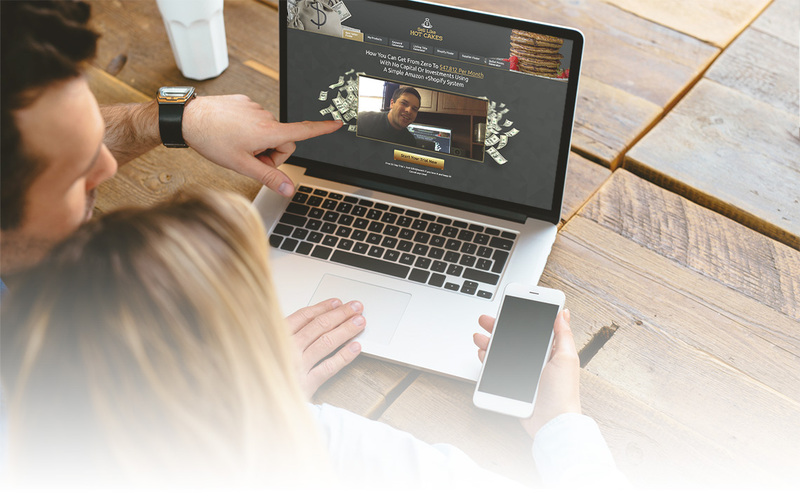 The best part is that in the members area of "Sells Like Hot Cakes" you will find not only all the tools and resources my team developed to help you succeed on Amazon and Shopify, but also a friendly community of experts who are there to help you and answer all your questions. It's a close group of like-minded people who help each other succeed. This is not some cheaply assembled eBook. I, along with with my lovely assistants Melissa, Coco and Stephanie, have recorded a series of amazing video lessons that are short but detailed – no fluff or filler, only what WORKS and what you actually need to succeed. Most of them are screen recordings that show you my screen, so you will see EXACTLY what I am doing. You can then copy it and apply to your business! If it works for me, it will work for you, I am sure! So, without further ado, let’s get started. It's time for you to take action, join us, grab a cup of coffee and prepare to be amazed! Inside, you will find access to everything you need to get started with this ecommerce business completely risk free. With our trial access and a full money-back guarantee, there is nothing to lose! Click on the orange "Start your trial" button and I will see you inside! If you have any questions, just shoot me an email and I’ll be glad to help you! You know you are dealing with a "guru" if you hear something like this: "I do personal success coaching, seminars, trainings and workshops. Here is information about how to book your free first session with me". How can someone be successful in selling if his whole day is filled with webinars, personal trainings, coaching appointments and podcast recordings? Most if not all his income comes from his "teaching" efforts and it's a clear form of "teaching for the sake of teaching". At best, this person has attended other seminars and seen what other sellers are doing, so he is teaching the same systems – mostly generic and without any personal experience whatsoever. His videos are usually PowerPoint presentations with tips and nothing from real life experience. Yes, they are full of energy, inspiring, motivational and entertaining, but they don’t give you the real-life, down-to-earth information that you need to succeed. How do you find out if you’re dealing with a success guru? Ask him to show his products or his store. His reply will usually be something like: "Oh no, I can’t show it; otherwise it will be copied and I will be flooded by competition". He is afraid of competing with his own students? What about REAL competitors who are professional sellers in his niche? The bottom line is that he does not sell well and makes most of his income from others. You might learn some generic, basic stuff from him but most of the time you will be coached "think-positive-and-success-will-follow" stuff rather than given real information you can. tweak it to death while completely missing major things like staging a correct launch structure, building a list and setting a proper follow-up series! They major in MINOR things and miss the big picture. What will they teach you? Maybe one specific area of their expertise but they lack real-life experience in other areas. Most likely they are not themselves selling at all. 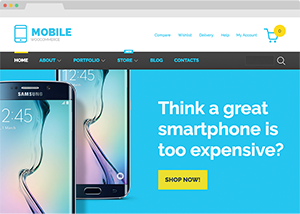 They might teach you a cool trick about coding a parallax effect on your website but they will not teach you how to sell online successfully. Truth is, most things they do don't even matter. You can optimize your SEO and keywords to death, but if you have a product that has no demand and if you did not create a proper launch structure, you will fail anyways… so don't waste your time on this. These guys really sell, and oh boy, they sell WELL. In fact, they are making millions of dollars per month selling thousands of units. They usually make for a nice success story and get invited to all the podcasts and interviews. 10 billion subscribers, a Facebook page with a gazillion fans and a Twitter account that is followed and commented on by Donald Trump. Yeah... good for them. But the truth is, they have nothing to teach you. All they know is how they started 10 years ago; their methods are no longer applicable if you are just starting out small. Their millions of sales come from their massive follower base, which has nothing to do with you. So, unless you have your own fan base that numbers in the millions, you have nothing to learn from them. from zero to $47,812 profit per month without any huge fan base or any other tricks. We DO NOT offer coaching, trainings, webinars or workshops. You will never meet us on the success seminars. Honestly, my time is more valuable and if I wanted to share my knowledge, I'd rather record a "HOW-TO" screen recording VIDEO to share with ALL my followers rather than sit with each of them individually during a private session. If you have a question, I will always be happy to help you and share my knowledge, but if you are looking for someone to baby sit you for 45-minute paid sessions, you have come to the wrong place. We SHOW what we do. We show our sites and our products. Hiding them makes no sense to me. If I want to promote my shop to the world, why would I hide it from you? Maybe you would even buy my products. Afraid of competition? That’s silly. Competition exists, whether or not you are afraid of it. It's a part of doing business, like snow is a part of winter. If you want to copy my shops, go ahead and do it. My competitors already did, and I am still doing well. There is no niche in which you will be solo-selling with no competition, so it does not make sense to be afraid of it. Amazon marketplace, there is room for everyone. The truth is… people who put great effort into developing superior products and marketing will build their lists, and their brands will stick around for the long term and achieve success. Meanwhile, people who rely on quick and dirty tricks, fake reviews and other scammy things will quickly fade away from the marketplace, so don't worry about them. Are you with me? Let’s get started! All you need is inside my members area. During the video course, I will take you by the hand from basic to advanced stuff, helping you create your own Shopify and Amazon stores from scratch. This information is short and useful; I never waste your time by spending 15 minutes ranting, showing you how to open your browser or flooding you with 120-page-PowerPoint-slide fluff. You will look over my shoulder and see what I am doing – real-life examples, real products, not a theory. I will show you what to do and what NOT to do, as well as how to avoid the most common mistakes and pitfalls. 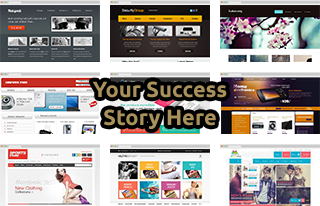 I will show you advanced tricks, hacks and tips to research and source your products, do due diligence, spy on your competitors, stage your launch and get massive organic sales! My goal is for you to launch your first profitable Shopify store + five products for the whitelabelling business with Amazon FBA program. You will learn exactly how to do it step by step and get the access to all your the tools you need along the way - no hidden tricks or upsells! This course is so effective and powerful that we could easily sell it as a $10,000-ticket seminar, but we are too busy selling our own products…we don't have time for seminars :) Let’s leave them to the "success guru", as they’re not our song! Includes a self-updating database of 39,871,951 products and counting and that will let you instantly find the top-selling products in each niche by keyword. You can get complete information about them, including their prices and, most important, the estimated amount of sales they get per month and the profit they are making. With this information, you can quickly see how they are doing and whether it's worth it for you to sell the same product. Moreover, this amazing tool collects the stats of the top-selling products in each category to give you an idea as to whether they fit five strict criteria we developed and taught you about during the course. These five criteria are crucial when researching and selecting a product to sell. This database itself is invaluable, and you would usually pay $99 to your sourcing agent for just one search inquiry! In our database you get unlimited searches at no extra cost! Looking to create an ideal, optimized, keyword-rich listing on Amazon to boost your sales? Good luck with that. You must manually research hundreds of competitors, as well as subscribe to dozens of paid keyword research tools and services. Why not try our Amazon Listing Generator, which include a power bundle of the "Title Generator" to provide outstanding ideas for your listing title, the "Bullet Points Generator" to create keyword-rich, high-converting bullet points and the famous "Keyword Generator" that will quickly analyze your competitors and come up with the best keywords to help you get high ranks in your niche! The term "garlic press" has become an inside joke in our Amazon industry; it indicates a product that is easy to sell and that everyone wants to buy. That's why we decided to make this funny but super helpful bonus tool called "Garlic Press Smasher", which automatically searches our database of millions of Amazon products and finds a single easy product that you might sell in the future. This tool is great for people who don't want to do any complex research and who just want an idea for what to sell. The results are updated daily, so you can come back tomorrow for the next big idea for your potential product. This tool is fully automatic and free from any bias; no alternatives to it can be found elsewhere. I don't want to sound like one of those "success gurus", but there is one thing about which they are totally right: success attracts success. You are an average of your five friends, so if you stick around successful people sooner or later you become one. We are privileged and grateful to have been able to build this amazing small but very helpful closed community of successful Amazon, Shopify and eBay sellers who are there to help you and share their tricks and secrets. We are all selling in different niches, so we never treat each other as competitors. We are here to help you and each other by sharing the hottest trends, common mistakes and tips on how to succeed in this business. How to create FB ads that WORK and why everyone else fails with FB ads? You know, there is so much information available about Facebook ads on the Internet that it’s really, really easy to get lost in all this fluff. There are so many courses on just Facebook ads that give you hours and hours of info about how to build Facebook ads and most of them are outdated and don’t work. 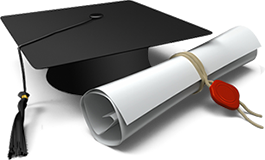 And the main problem of these courses is that they are so filled with fluff and filled with information that it’s really easy to get lost. So I decided to use my garlic press today to squeeze away all this fluff and filler and just give you a short, up-to-the-point 40-minute crash course on what you really need to know about Facebook ads and how to build your winning Facebook campaign. There are so many e-commerce gurus out there teaching how to do Amazon FBA sourcing or Shopify Drop shipping from China while in reality, they have no real life experience dealing with real Chinese factories, shipping agents and suppliers, so most of they have no clue on what they are teaching. This is a great Amazon bonus tool inspired by the well-known "Keyword Inspector" which allows you to legally spy on your competitors and search for the top converting keywords for best-selling products in your category! No extra purchase of credits is necessary. All searches are free! Included in your membership as a bonus). You will be able to check the rankings of the specific keywords by searching using the ASIN number. Both Amazon US and UK are supported! Allows you to track the performance of selected products (your own or competitors’) in real time, giving you invaluable information about their performance, history of sales and price changes to help you decode and reverse-engineer them, thereby learning what makes them sell so well. You will also learn about the seasonality of the product and identify analogs on Alibaba or AliExpress to help you find their suppliers in just a few clicks! If you are tracking your own product, you can easily find out how well you are tracking against desired keywords and how you can improve your sales and rankings! This tool alone is worth $69 per month and sold separately in different competitor resources. For you it's included free with your membership! An outstanding tool that will help you quickly find the best AliExpress suppliers for your dropshipping business on Shopify. No more headaches from manually searching hundreds of providers and sellers. Here, you instantly get the right products ready for dropshipping, their best prices and other details at your fingertips. A similar tool is sold alone as an app for Shopify for $39/month, but you get it FREE in our members area! Leaves behind all the guesswork and lets you legally spy on your competitors by identifying how well they are doing, what traffic they are getting and where it comes from, and what products sell best for them (even if they try to hide it, we will know), so you can quickly copy and paste their best-selling products on your featured store and boost your sales. We can even help you automatically find the best AliExpress suppliers for bestselling tools so you don't need to waste hours researching that information. A similar tool is sold at $199, and it does not even self-update, while our tool auto-updates daily! It took us years to compile this list of the most trusted resources in the industry, including suppliers, tools, inspections, product package and design services, freight forwarders, etc. 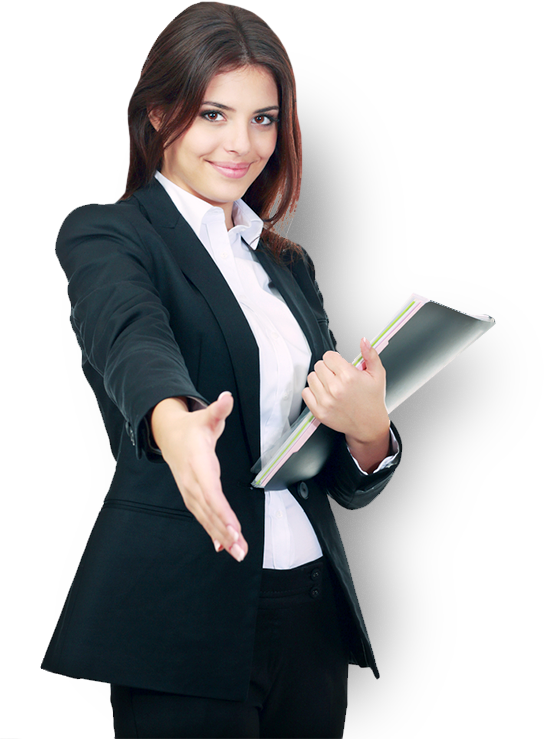 Where can you find trustworthy sourcing agents? What freight forwarders should you use? Where can you get legal protection for your business? Never get scammed again; use only trusted resources like those we personally tested and use. This section will quickly answer your questions about where to do product inspections, where to find suppliers, what freight forwarders to use, where to buy bar codes, where to register your trademarks and much more. An amazing section where you can submit your product (anonymously if you choose), research ideas, listings, descriptions and bullet points for the community to analyze, critique and brainstorm. You will be surprised at the ideas and tips you will receive that you never thought about, helping you instantly boost your sales and avoid costly mistakes. "Is this the right product to sell?" "How can I improve this listing title"? "How can I improve conversion from my bullet points?" You will get invaluable ideas and tips from people who sell BIG and do this for a living! And don't worry that other people will copy you… your competitor can copy your product anyway, whether or not you like it. Try to adopt an abundance mindset instead of a mindset of scarcity. There is enough money and room for everyone, and there is always competition in anything, so stop worrying about it. Competition exists whether or not you worry about it; it's a part of the game! We can achieve many more sales by helping each other rather than considering every other person to be a competitor. + 7 Top Converting Ads & Cheat sheet! 99% Who FAIL with Facebook ads make this mistake - they promote WRONG product to the wrong audience! Remember, to make your Facebook ads WORK you must only choose UNUSUAL,WEIRD, SHOCKING, UNIQUE products ("NOT SOLD IN STORES" kind of stuff) and target ONLY the MOST passionate groups and audiences. Nobody is that excited about buying a garlic press, so you better ensure there is EMOTION and PASSION in what you are selling. To help you pick those categories, we have found TOP 30 most passionate niches to target for your Shopify business and top 3 unusual products in this niche from Aliexpress marketplace. Make sure you watch our videos to understand how to connect the dots and make it all work in Sells Like Hot Cakes video course! Keyword Tracking Tool for Amazon is truly amazing! It allows you to monitor where your products rank for most essential keywords to help you get valuable insights, optimize your listing and increase your sales. 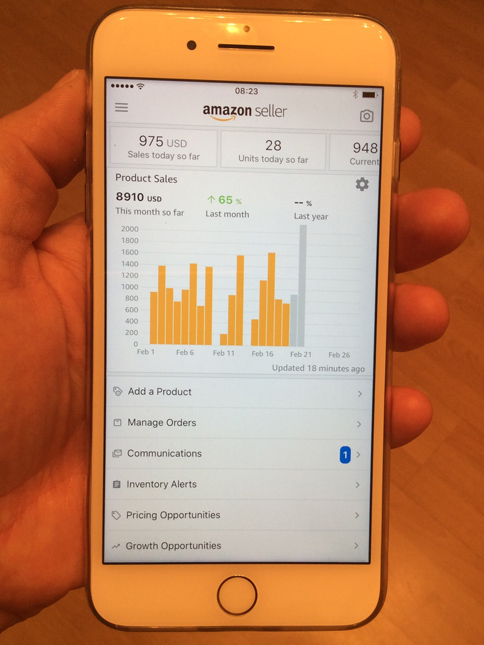 The Listings Analyzer checks your listing for common issues and shows you the areas where and how you can improve to get higher rankings on Amazon! This is a unique bonus tool that allows you to identify the most lucrative and potentially great niches for you to start selling. The tool automatically scans the whole database of Amazon best sellers and structures them in a "seller friendly" way, showing you the Competition level and Demand level and potentially good products to sell in each niche. This is very time efficient and will help you save hours on searching for a great product with high demand and low competition in the niche you are interested in! Both Amazon US and UK are supported! 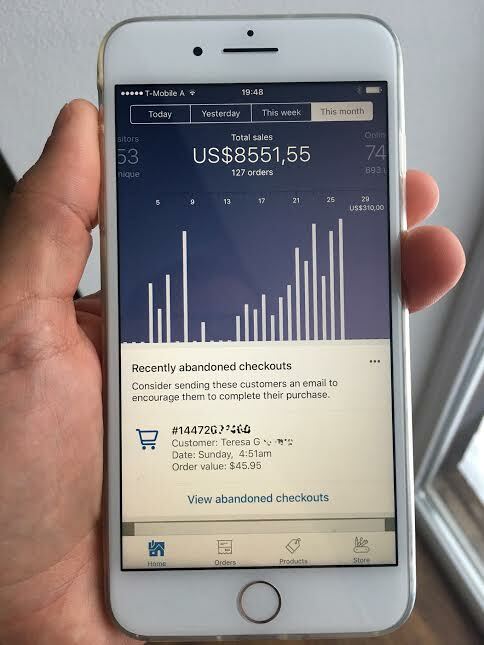 Beta tester early access: $0 Free Trial + $39/month if you like it and stay! That's a steal! you need, we don't hold onto anything. In return, you agree to help us beta test the new tools that we will be developing and adding. You also agree to contribute to the community. but for beta testers the price will be fixed at the low $39/month level. And yes, we will give you a free trial so that you can log in, check around and see the value, tools and community BEFORE you are charged and fully committed! Yes, you can cancel at any time, no questions asked, so there is really no risk involved. It's time for you to take action; click on the magic "Start Trial" button and we will meet you inside! Remember, our goal is simple – launch your first profitable Shopify store + five products for the whitelabelling business with Amazon FBA program. You will learn exactly how to do it step by step and get the access to all your the tools you need along the way - no hidden tricks or upsells! If you are one of those people who plans to get rich overnight doing nothing, please don't bother joining. We don't have time to "coach your success" or give you magic tool that will provide you with "push button commissions" or insane trading profits. Remember, those scams are fairy tales for losers. Stay away from them, start your own REAL and honest online store, and you will achieve amazing success like other people from our group! Each year, online commerce market share almost doubles. Amazon and Shopify currently dominate, with close to 59 percent of all online sales. That is 59 percent of a $250-billion-dollar market, which you can easily tap into if you start now. A few years later the opportunity might be gone as each niche becomes more and more saturated and the competition becomes more intense. Right now it's the golden age of online sales, and I believe that together we can easily build your store from scratch. Follow our course for just one month and get your store launched. You will learn how to create your own Profitable eCommerce Business from Scratch without big investments! And remember, the early bird gets the worm. Join us now, at the early stage while we are in beta-test mode, for a silly-low $39/month and reap all the benefits by getting in front of the train! Trust me, you won't regret it! Hit this magic "Start Trial" button and we will meet you inside! To Make Great Sales too! No Time To Lose! Start Your Journey To Profits Now! P.S. If you like my marketing efforts on this page (I am sure you appreciate them), wait until you see the video course :) I bet you are going to love it. The best part? All of my videos are recorded with the help of my lovely assistants, whose voices you can’t get enough of… it's better than yoga :) None of the usual rambling, mumbling or 15-minute unrelated rants that you hate in other video courses – only to-the-point, well-edited-and-voiced, step-by-step instructions, screen recordings and a "look-over-my-shoulder" style using my own tools, systems and online stores, which you will actually need and which will get you to the	golden goal of having your own successful ecommerce business! Get inside now and prepare to be amazed! Disclaimer: This site and products and services offered on this site are not associated, affiliated, endorsed, or sponsored by Amazon, Google, Shopify or Apple, nor have they been reviewed, tested or certified by Amazon, Shopify, Google or Apple. Earnings Disclaimer: Any income or earnings statements are estimates of income potential only, and there is no assurance that your earnings will match the figures presented, which are given as examples. We only work with a very select group of enterprise clients by application only. Complete the confidential application below and hit the "Submit" button to start evaluation.